To really enjoy the music on our iPods, we need to invest in a pair of good earphones. Similarly, in car audio enthusiasts, they invest a pair of good speakers, cables and audio gadgets. In both cases, it bring about enjoyment to the owner. The Shure sound isolating earplugs were designed for this purpose. These earplugs delivers brilliant highs and extended bass enhancing your listening experience. Also known as ear-canal plugs, Shure’s earplugs blocks out background noise naturally enabling the listener to enjoy soft music or low volume even in a loud environment. Since everyone’s ears are different, the earphones or earplugs (depending on the model) come with disposable foam sleeves, triple flange sleeves, three pairs of flex sleeves (small, medium, large), and three pairs of Soft Flex Sleeves (small, medium, large) to ensure the ideal personalized secure fit and comfort. The earphones can be packed into a compact carrying case to provide convenient and tangle-free storage. The Shure sound isolating earplugs are retailed between $99 and $499. Now, if you’ll excuse me, I’m going back to listening Paramore on these great earplugs. The world’s smallest Bluetooth headset is here. Weighing in at 10 grams (0.35 ounce), yes, it’s 10 grams, no typo error here, the Bluespoonâ„¢ AX can be fitted on both left and right ear. 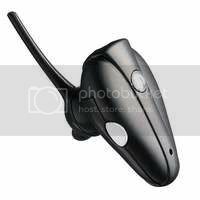 Attached to the headset is a soft spring that is used to have a firm grip onto the auricle of the outer ear. The spring can be shortened by cutting in order to have a comfortable fit using a normal pair of scissors. At the top of the device, the mini USB port (Mac compatible) is present to allow battery charging. The battery is said to be good for up to six hours of talk time and more than 300 hours on standby mode. If you prefer, a car charger and a wall adapter can be bought separately. Charging takes up approximately 2 hours to complete. The headset is virtually compatible with any device that supports Bluetooth headset profiles and is recommended for both Skype and iChat. The Bluespoonâ„¢ AX retails at $99.00 and is available from Nextlink’s Webshop for $66.00. For the past 21 years, Apple’s mouse has always been a single button mouse. This year, we are watching a legacy being broken by the introduction of a 4-button, scrolling optical mouse with USB connection. So, how do we use this new mouse. From the looks of it, it seems like the same old one-button mouse. Apply pressure on the left hand side of the mouse and it will click (emulating a left-click) and vice versa. By default, left and right clicks perform the same action as Apple does not want to confused customers. 2 buttons down, 2 to go. At both sides of the Mighty Mouse, you will find that you are able to squeeze them. Squeezing the mouse will activate ExposÃ© (by default) of which you can programme it to activate any other applications. The final button is at the scroll. I wouldn’t call it a scroll but more like a ball (Apple calls it scroll ball). Depressing the scroll ball and you have your fourth button. We must commend the geniuses behind the scroll ball. 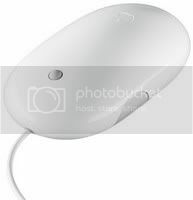 Not only can the Mighty Mouse scroll upwards and downwards, it is also able to scroll sideways, diagonally and even perform a 360 degrees scrolling!! Bear in mind that the Mighty Mouse was designed to work specifically with Mac OS X Tiger where the every mouse click can be programmed. The Mighty Mouse’s MSRP is $49 and is available from Apple Store or Amazon.com.